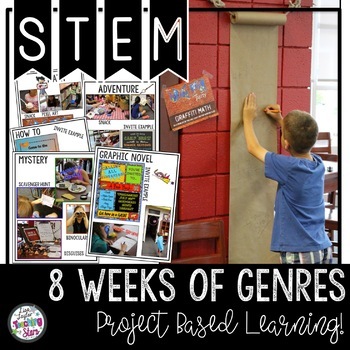 STEM Summer Challenges: 8 Weeks of Genres is a packet of plans and activities for 8 Weeks of Genre Challenges. 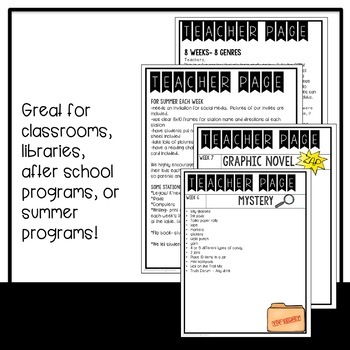 Students will love learning about the different book genres as they explore, create, and engage in themed activities. Your students will want to try different genres after each week of fun activities! 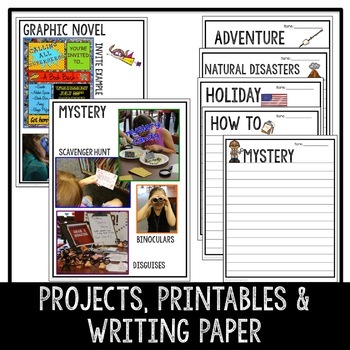 This product is great for classrooms, libraries, after school clubs, or summer programs! 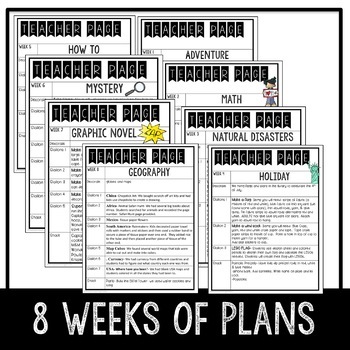 This packet contains weekly suggestions for 3 different activities, snack idea, sample invitations, printables, and much more!